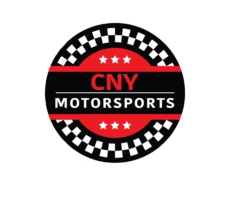 OSWEGO, NY – The Syrell Racing Supermodified team, with championship driver Michael Barnes, is excited to partner with Champion Power Equipment and SuperGen Products for the 2019 season at Oswego Speedway. SuperGen Products started in 2010 with their first retail location established in 2012 in Newark, New York and now their second location in Azusa, CA. With over forty years in design and innovation, they strive to create the highest of quality products to make life easier and efficient. SuperGen Products is an authorized refurbisher and distributor for the full line of Champion Power Equipment products. All refurbishing is done at their New York facility and is held to the highest of standards. Along with generator accessory development and distribution, the SuperGen Products team is ready to help customers. SuperGen Products strives to bring the best customer service to the table with technicians available by phone 24/7 at 1-8-GENERATOR. For more information on SuperGen Products visit online at www.supergenproducts.com or call their Newark location at (315) 573-7887. Champion Power Equipment is also online at www.championpowerequipment.com. Part-time driver, Dan Kapuscinski, will also carry the Champion Power Equipment and SuperGen Products colors in select events for 2019.